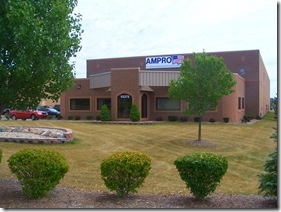 Warehouse Racks | Industrial Shelving | About Us | Ampro Inc.
All Ampro products are manufactured to the highest quality standards in the Material Handling Industry. Our professional sales force is trained to offer “in-plant” solutions to your facility. Whether it is providing unique racking, solving ergonomic problems, creating efficient plant layouts, or simply locating the right product to improve a process, our sales staff has proven ability to get your company the right product, for the specific need, at a very competitive price.